Coconut oil speeds up the metabolic rate by stimulating the thyroid. The oil is abundant in medium-chain fatty acids that activate a sluggish thyroid gland. Studies show that medium-chain fatty acids can increase a person’s metabolic rate by up to 48%. The metabolic-boosting effects of these triglycerides can last up to 24 hours. 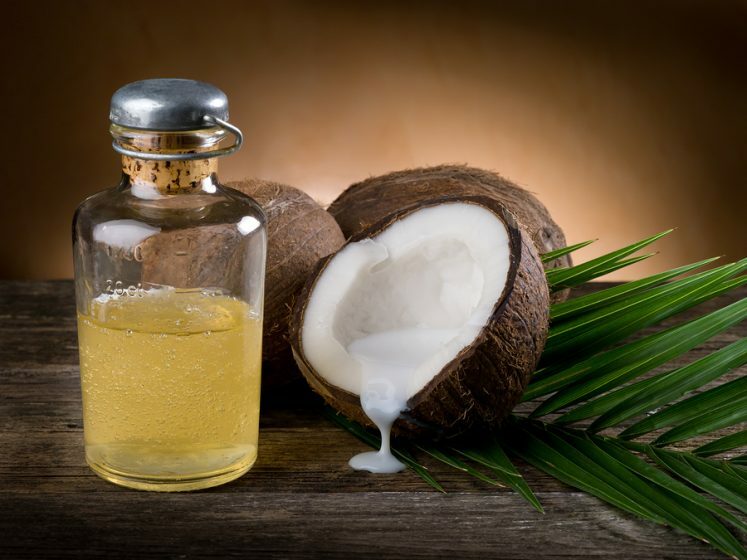 In obese individuals, coconut oil may help speed up metabolic rate by a staggering 65%. Adding a little coconut oil in your diet promotes weight loss by speeding up the conversion of stored fat into energy. Candida albicans are bacteria that cause a yeast infection. These microbes are present in the digestive tract in manageable numbers. But overgrowth of candida albicans leads to a yeast infection. This condition causes a variety of health problems, including digestive issues, skin inflammation, skin redness, and vaginal itching. Coconut oil helps heal yeast infection by regulating the number of candida Albicans in the body. This oil is loaded with caprylic acid, a chemical that kills candida albicans. Coconut oil contains antifungal, antibacterial, and antiviral properties that strengthen the immune system. Coconut oil reduces the risk of diabetes by easing cravings and prolonging the feeling of fullness. The medium-chain fatty acids in coconut oil speed up the metabolic rate while boosting satiety. When you are satisfied with your last meal, you are less likely to indulge on calorie-rich foods over the course of the day. Even better, coconut oil does not cause the insulin level in the bloodstream to surge. When the insulin level in the blood is regulated, you don’t experience intense cravings, which could lead to overeating. Coconut oil controls the glucose level in the blood by boosting the secretion of insulin too! Did you know that coconut oil helps strengthen the heart and protect from cardiovascular diseases? Although coconut oil contains saturated fats, these fats do not affect the heart negatively. Coconut oil contains lauric acid, which increases the level of good cholesterol in the blood. This triggers the conversion of pregnenolone, an important chemical that supports hormone production. Studies show that individuals who consume coconut oil regularly are less likely to suffer from heart disease. Unfortunately, some nutrients are not fully absorbed by the body. These nutrients include like vitamin E, beta-carotene, lutein, and zeaxanthin. Coconut oil also promotes better nutrient absorption of oil-soluble nutrients and it works better than safflower oil! Coconut oil contains the highest levels of medium chain fatty acids, which are fats that ease digestive strains, promote better liver health, and enhance the health benefits of carotenoids.